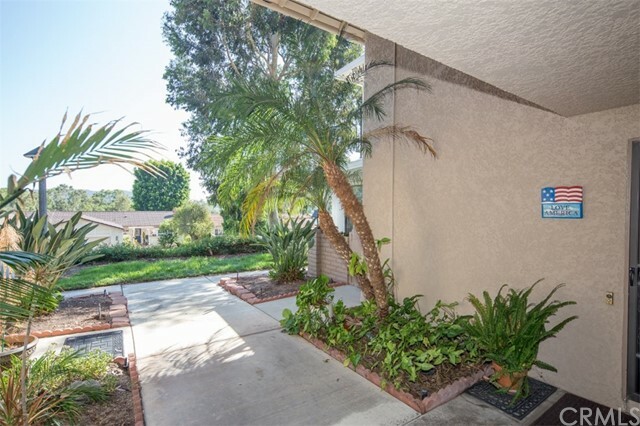 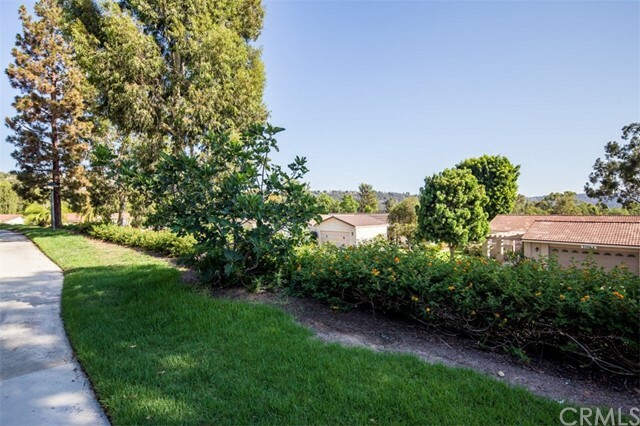 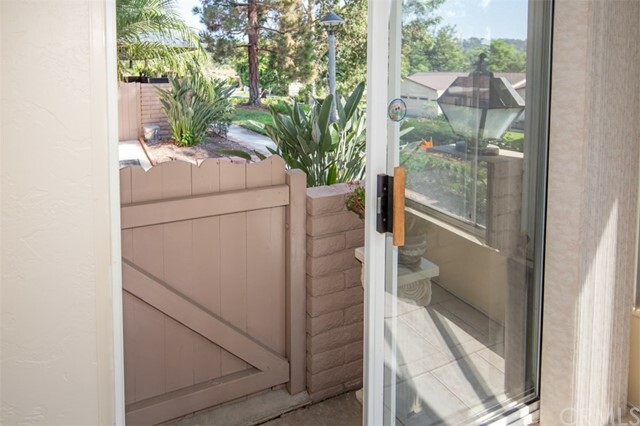 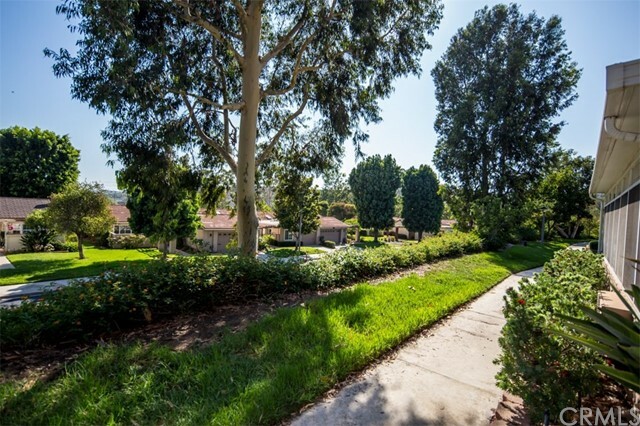 Nestled near the hills of Aliso Viejo and Laguna Beach is a wonderful condo in the 55+ community of Laguna Woods. 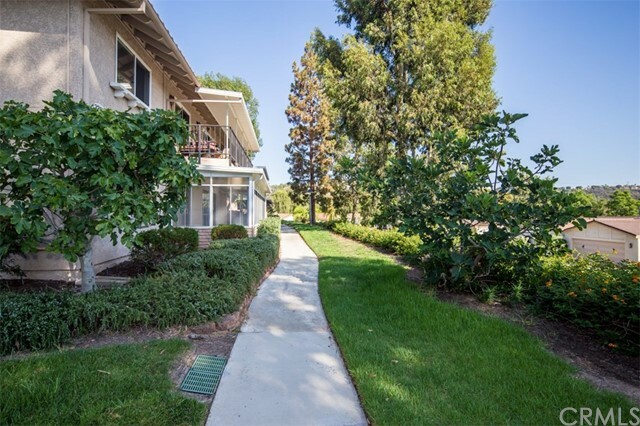 With beautiful views of the hills, this light and bright lower end unit has plenty to offer. 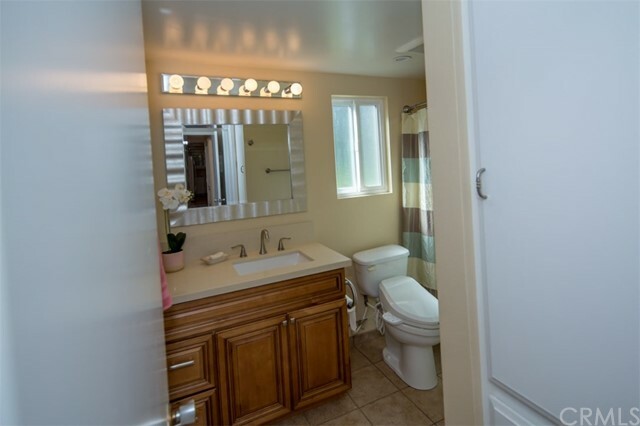 The kitchen is updated with new cabinets, countertops and newer appliances including a side by side refrigerator. 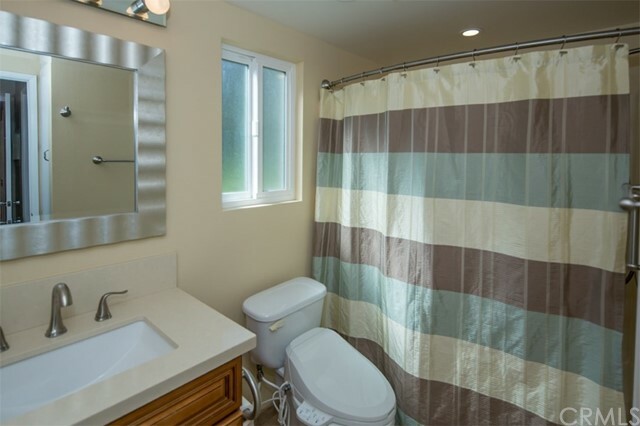 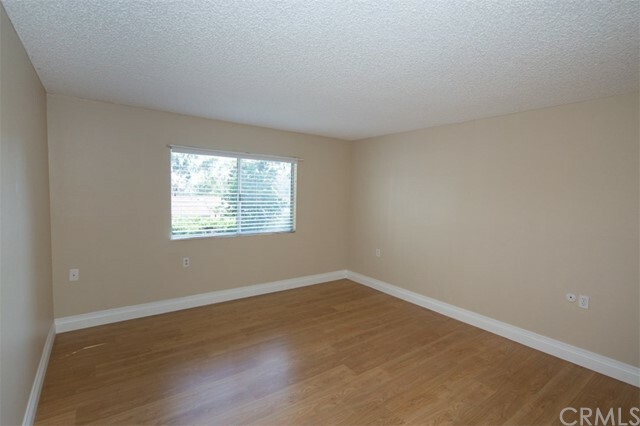 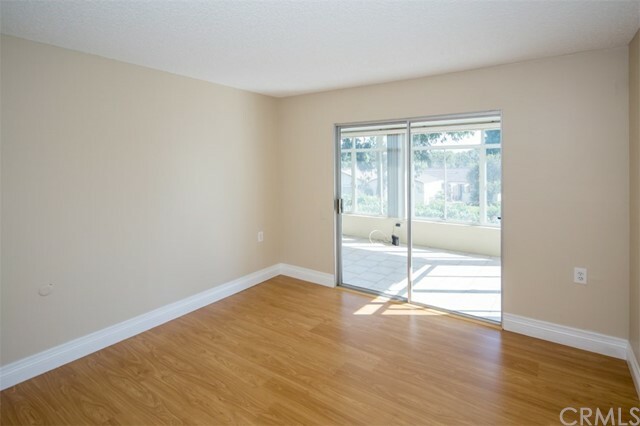 Easy to maintain and get around with light colored laminate flooring, plenty of recessed lighting throughout and an enclosed patio will bring you even more living space. 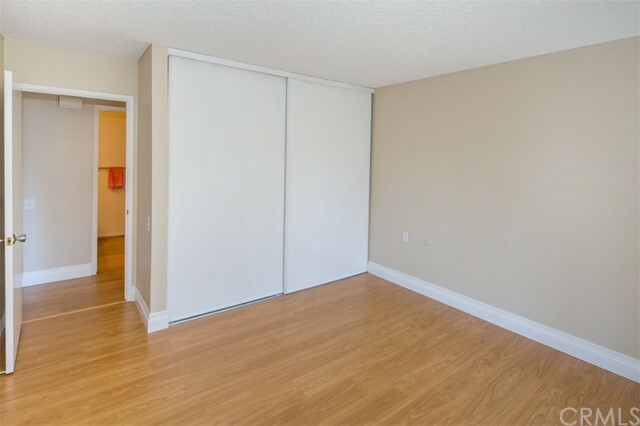 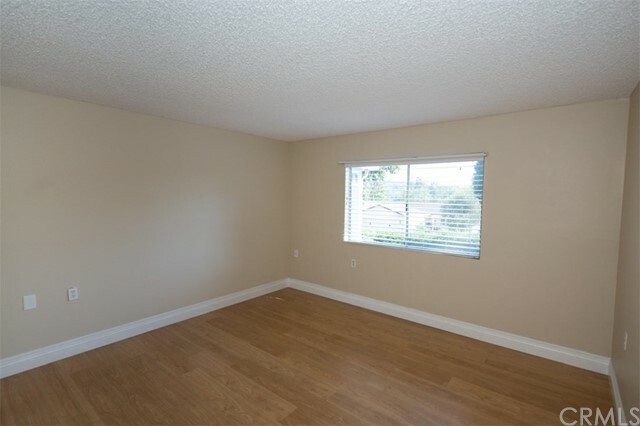 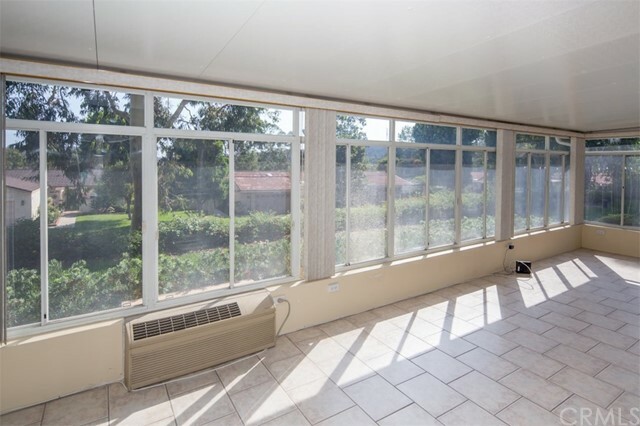 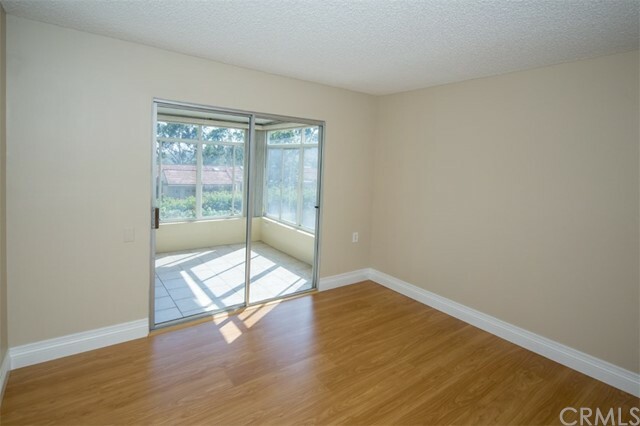 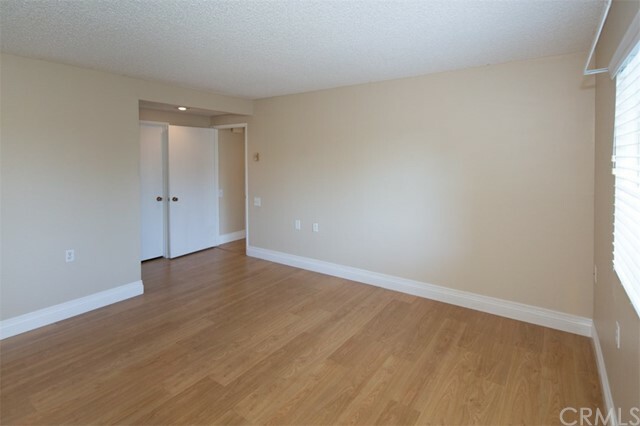 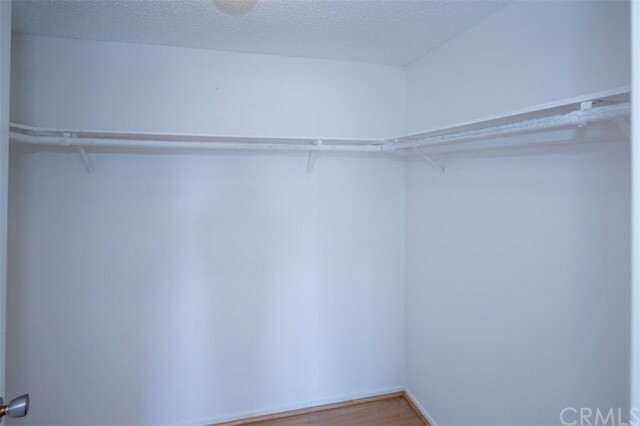 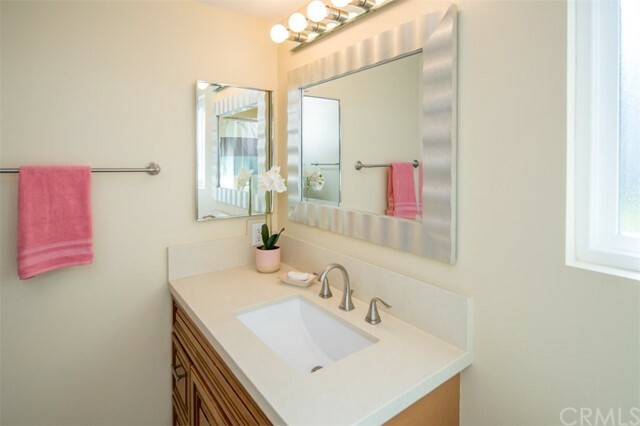 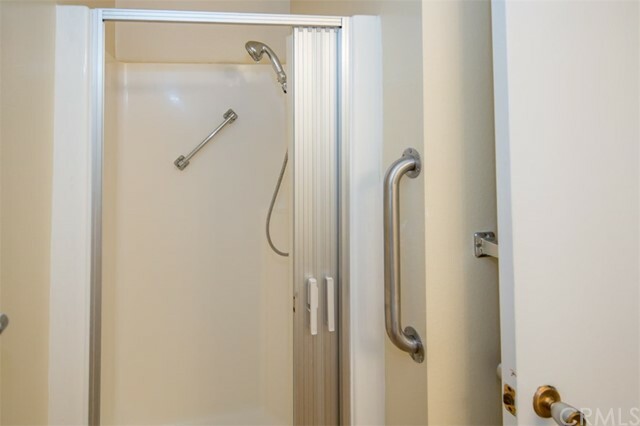 One bedroom has access to the patio the other is the master which has a large walk in closet and private bath with updated cabinets, granite countertop, walk-in shower and a nice window for natural lighting. 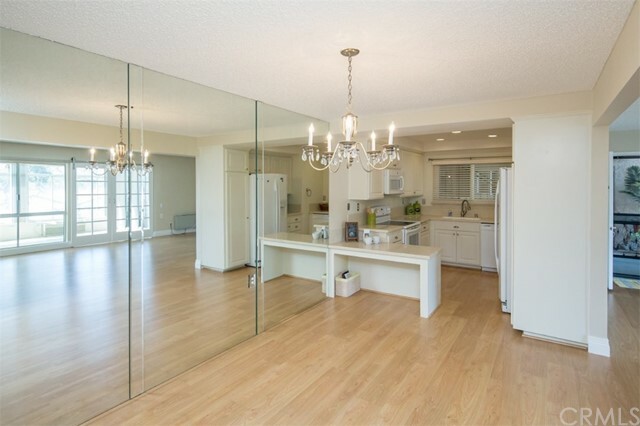 The lighting from the enclosed patio bounces off the wall of mirrors in the dining room, bringing plenty of light into this great space. 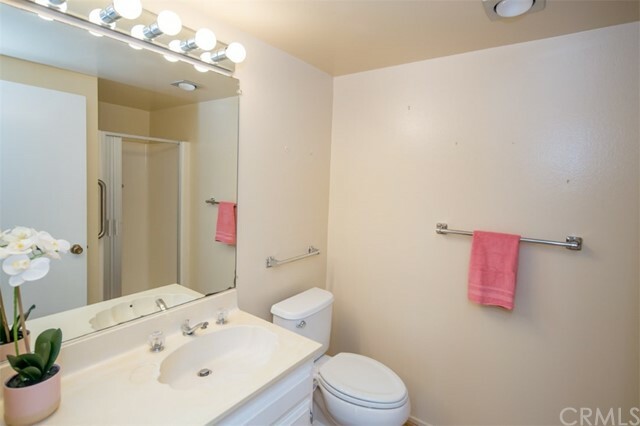 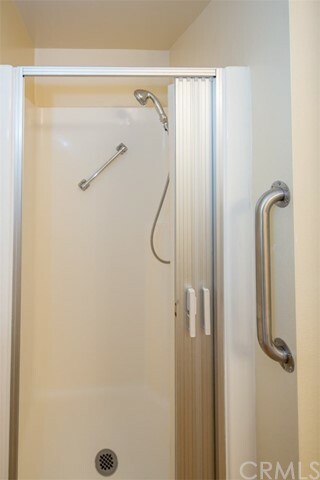 There is inside laundry, washer / dryer included. 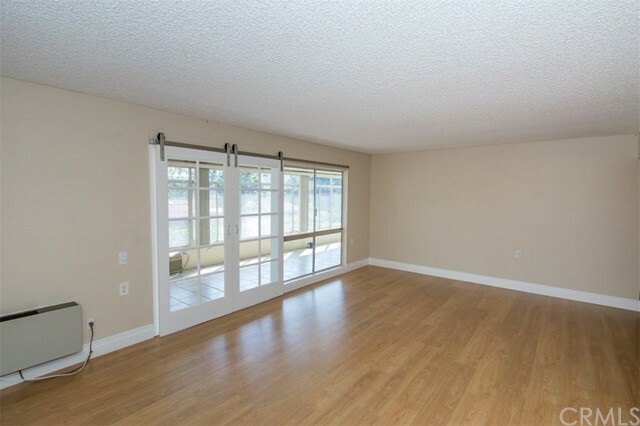 An open greenbelt area next to the condo making you feel spacious. 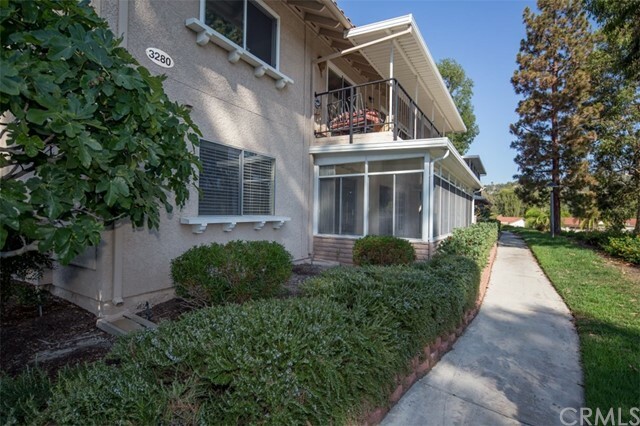 Carport #3099-2 is close by via stairway or a stroll around the next building to the carports. 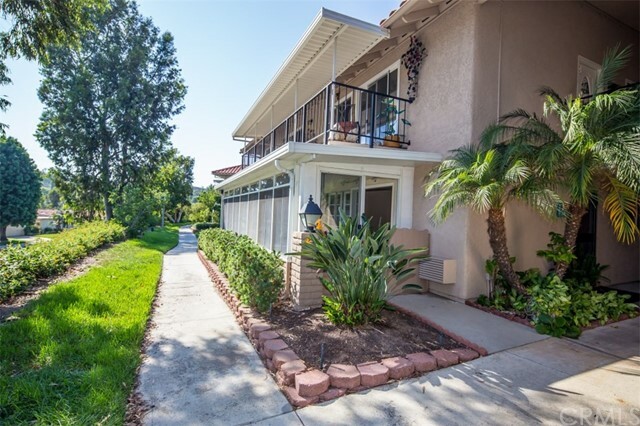 Laguna Woods Village with 27 and 9 hole golf courses, 5 swimming pools, spas, 2 fitness centers, 7 clubhouses, 200+ clubs, tennis, bocce ball, lawn bowling, horseback riding, stables, ceramics, painting, computer lab, billiards, RV storage and more! 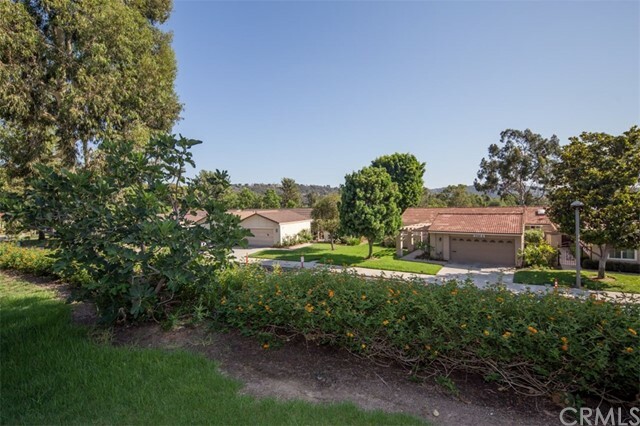 Medical facilities, fine restaurants and Laguna Beach all close by! 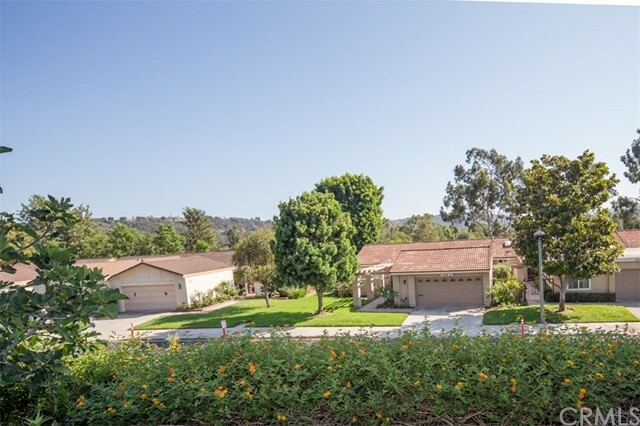 Enjoy the 55+ active lifestyle.